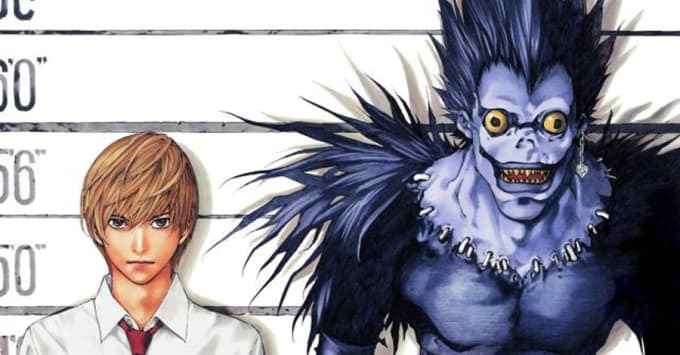 Death Note is one of the dopest manga (and subsequent anime) series ever. And unlike a lot of manga, it has a simple concept (a schoolkid finds a mystical notebook, in which anyone who he writes the name of in will die) that would be easily adaptable to an American setting. Which is why we’re actually excited for the Hollywood remake coming soon (which is not something we’d say for most US takes on Japanese films). It also doesn’t hurt that it’s being made by sick indie horror director Adam Wingard as well. Now it appears it’s going to be notable for other reasons as well — originally to be made by Warner Bros, it is now going to be the latest in Netflix’s increasingly impressive slate of original productions. They’ve already conquered TV, and now from Idris Elba’s Beasts of No Nation, to the Crouching Tiger Hidden Dragon sequel, to er, Adam Sandler movies, they’re taking the same aggressive approach for movies. Netflix also don’t shy away form violence and controversial themes, and considering that Death Note is about a teenager murdering people, this also gives us hope that it won’t be watered down for American audiences. Keep an eye on this one.